Are you a studs earring only kind of gal? If so, these beauties are a simple way to mix up your look! 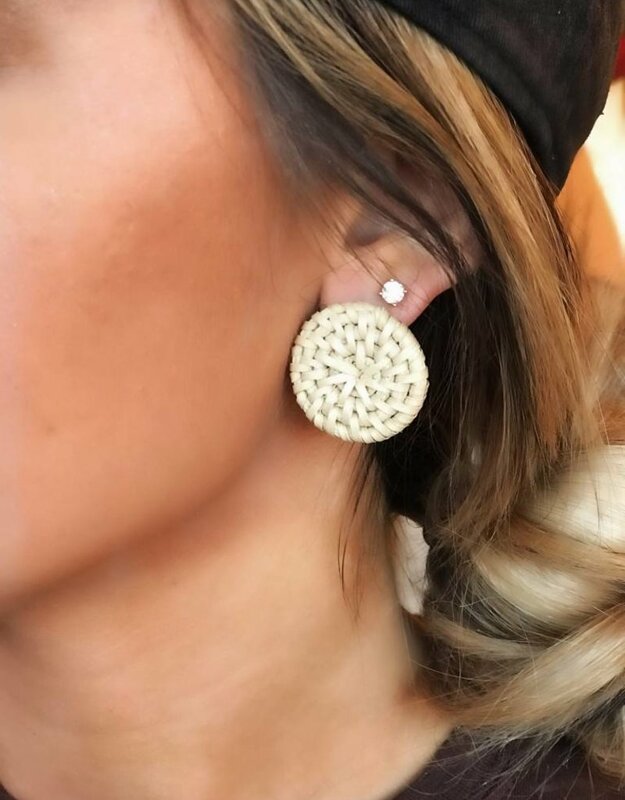 These wicker material studs are so fun and versatile! The neutral color would go perfect with so many different outfit combos! We. Are. Obsessed.